Today it was windy and warm ahead of the snow storm that arrives tomorrow. Beth and I took advantage of the unseasonable temps and headed toward Fruita, CO, to the Colorado National Monument. It was our first time going, and we only hiked one trail; the Alcove Nature Trail. An easy hike, mostly level, at around 5800 feet. 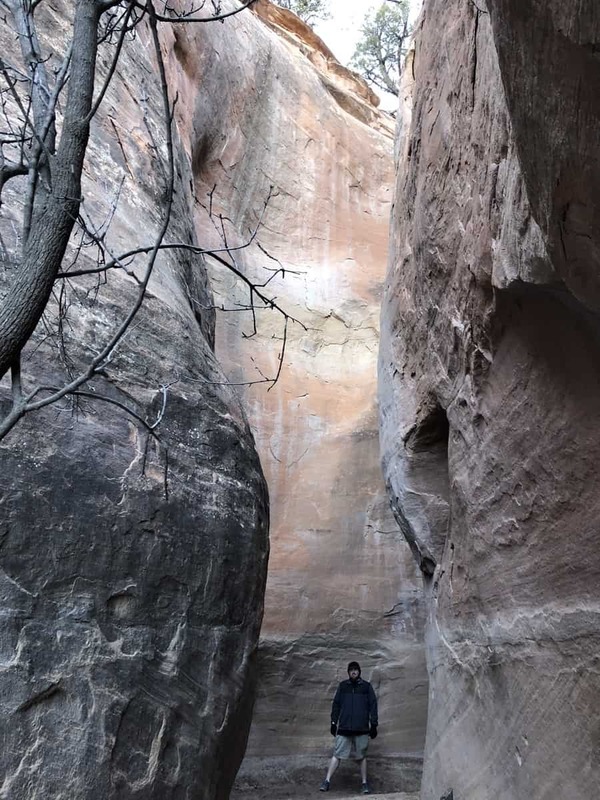 The highlight was the end of the trail, standing surrounded on three sides by towering rock walls.